Several consultants shared that anonymous users were claiming all of the items in their parties and leaving inappropriate or abusive notes in the claim notes and in the customer information. You can now disable all anonymous claims in your parties to discourage and prevent this activity from occurring in the future. Just head over to the settings page and check the "Disable anonymous/unverified claiming" box. Once the box is checked, customers with unverified accounts will need to verify the email address associated with their account so you have a valid email address to send invoices and other communications. 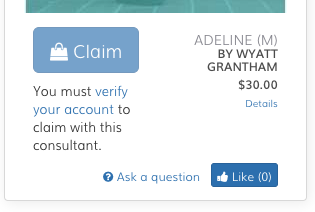 An unverified account will see a message, "You must verify your account to claim with this consultant." Customers that have not verified their accounts can easily do so by following the link in the message to their profile settings where they can resend the verification email. Customers just click the link sent in a message to the email address associated with their Sonlet account to verify the account and resume claiming. 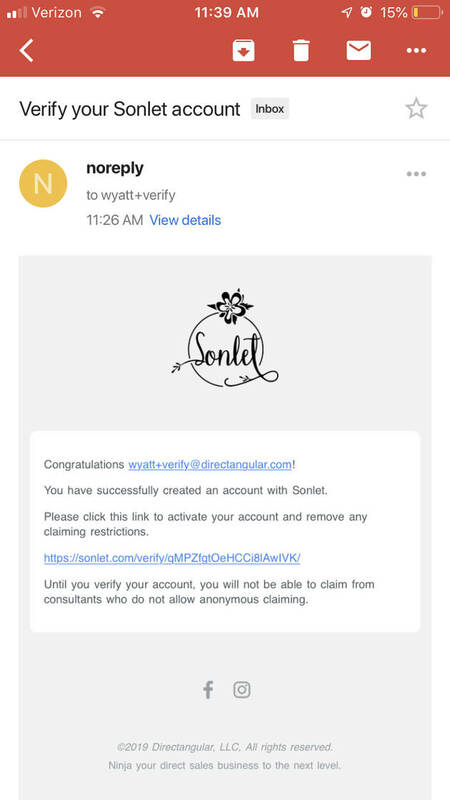 Here's an example of the verification email that automatically gets sent whenever someone signs up for Sonlet or requests the email from their settings page.